In addition to enjoying our print publication, your customers spend most of their day on screens, so why not advertise where they are with our digital solutions? Increase brand exposure, maximize ROI and drive business forward with innovative and effective digital advertising. 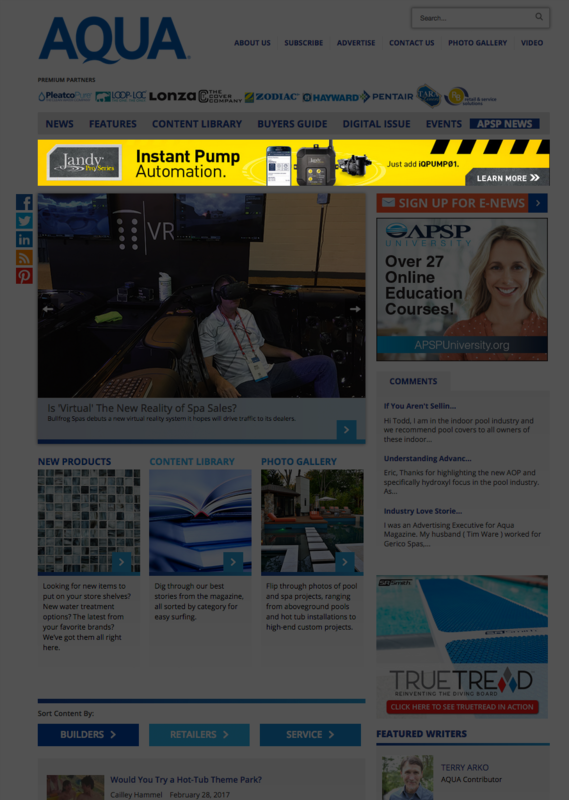 AQUAmagazine.com is the perfect bridge to unite your print marketing to your digital marketing. With 79,000+ total monthly pageviews, our website is the leading digital platform for your company to increase brand awareness, drive new leads and maximize ROI. 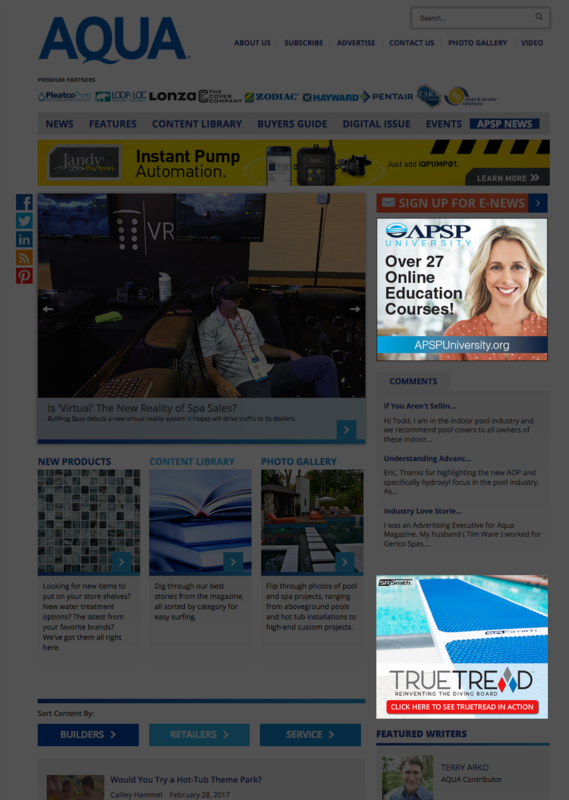 AQUA offers its readers twice-weekly E-News targeted to 15,500+ industry professionals who look to us to stay up-to-date on the latest industry trends, information and news shaping the spa and pool industry. Get access to our dynamic and robust audience of 16,500+ engaged subscribers with Custom E-Mail solutions available from AQUA. Use this marketing channel to drive new leads to your website and target those who are not already in your CRM. Increase the reach of your marketing videos and gain additional exposure with video promotion available through AQUA. Video is great for telling a more detailed story in a visual, engaging way. Educate and inform prospects who are searching for you with a fully customizable profile in the online version of the annual AQUA Buyers' Guide. Our microsite solution is a cost-effective way to jump-start and optimize your digital marketing strategy. 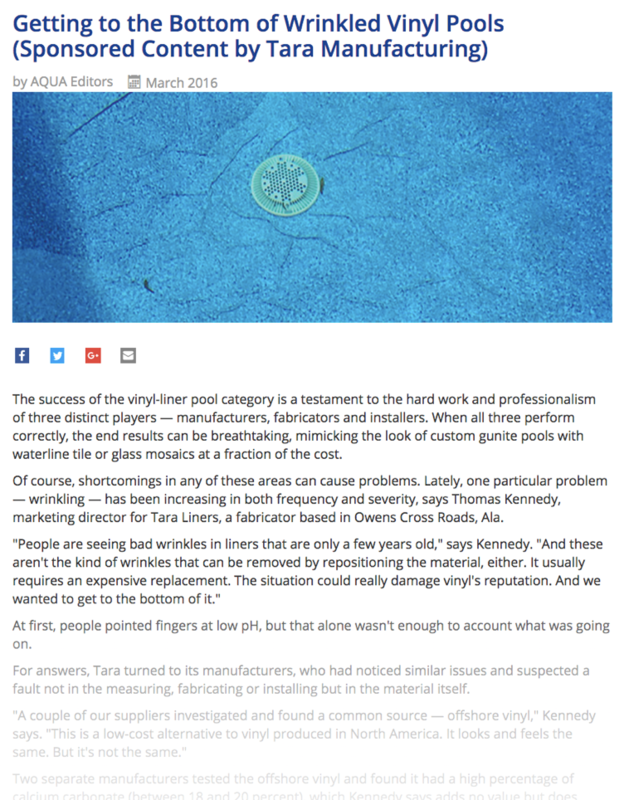 Designed specifically to be used as a year-round industry tool, Microsites allow your company to showcase product videos, photos, catalogs and more to more than 52,000 monthly visitors to AQUAmagazine.com. This online directory is the 24/7 destination and resource buyers look to when making purchasing decisions. Top Toolbox categories receive up to 500 leads per month. Retargeting through AQUA is an effective way to raise your brand awareness in the digital marketplace to our 600,000+ website users. 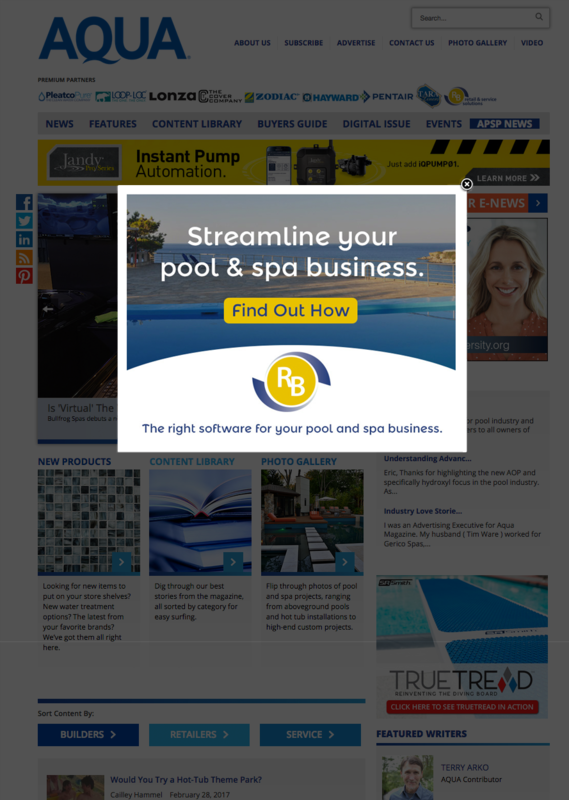 ​Targeting your ad around the web to prospects who have been to our website means your ad is displaying to an audience that we know has some degree of interest in spa and pool products. It allows you to spend your advertising dollars on a more focused audience which can bring increased ROI.